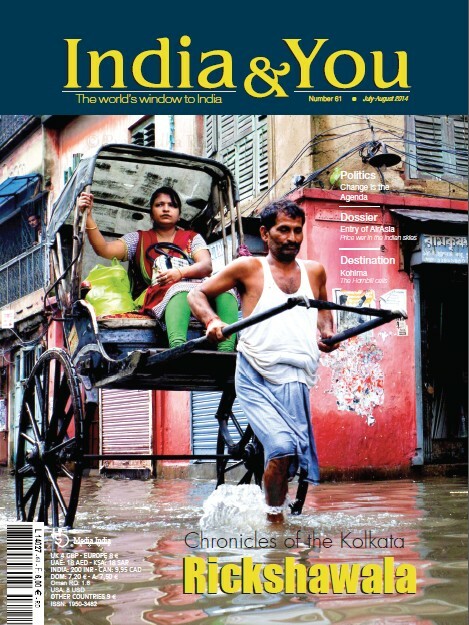 India & You has published July-August 2014 issue, which has focussed on the new government – Modi’s agenda to change India and different sectors. One of them is aviation, which has been the topic of the dossier, tracing new civil aviation minister’s plan to deal with the issues of airports, Air India and the entry of AirAsia which has brought competition in the Indian skies. Besides, there is much more in store – the chronicles of the Kolkata rickshwalas, Hornbill festival of Kohima, adventure in Rishikesh… Explore it!